According to export figures revealed by the Turkish Exporters’ Assembly (TIM), on January 1st, 2019 during January 1st – December 31st of 2018, the Turkish Defence & Aerospace Sector exported a total of US$2,035.334 Billion, while the said figure was at the US$1,738.512 Billion level in the same period of last year. Turkey’s exports hit an all-time high with US$168,1 Billion in 2018, which represents a 7,1% year-on-year increase compared with around US$157 Billion in 2017. 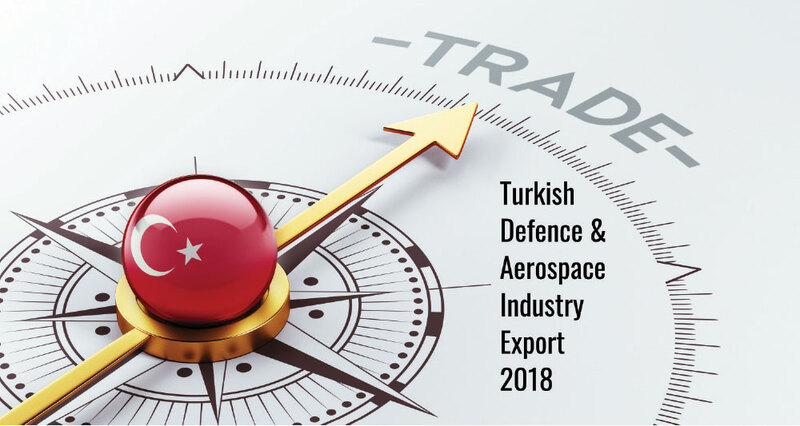 The Turkish Defence & Aerospace Sector showed the best performance in terms of export growth among all sectors in 2018. Turkey’s top exporting industries during 2018 were the Automotive, Textile and Chemicals sectors at US$31,568 Billion, US$17,642 Billion and US$17,372 Billion respectively. Meanwhile, even though they do not get as much governmental support as the Turkish Defence & Aerospace Sector and do not have an Undersecretariat or Presidency like the Turkish Defence & Aerospace Sector, the Turkish Carpet Industry has been able to increase its exports to the US$2,266.301 Million level, representing a 4.7% increase compared to 2017 (US$2,164 Billion). 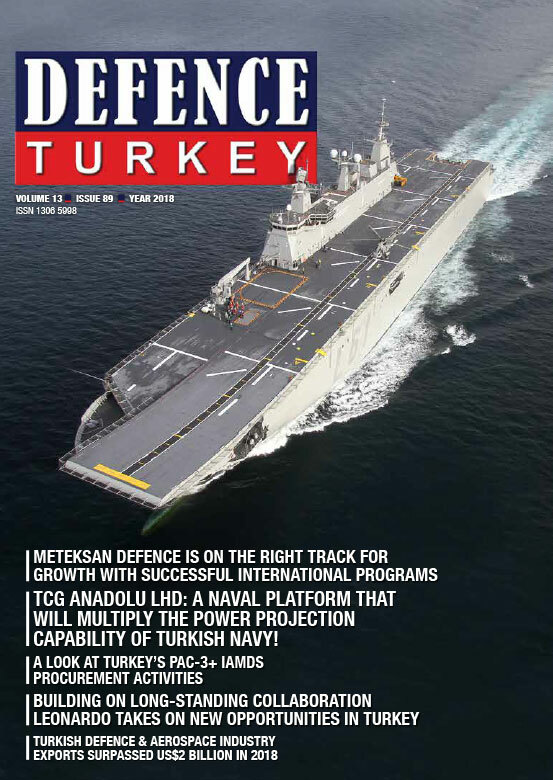 According to TIM data, the exports carried out by the Turkish Defence & Aerospace Sector soared by 24.89% percent year-on-year in December, reaching US$253,496 Million – the highest monthly export figure seen throughout the year. In December 2017 the Turkish Defence & Aerospace Industry’s arms exports amounted to around US$202,981 Million. 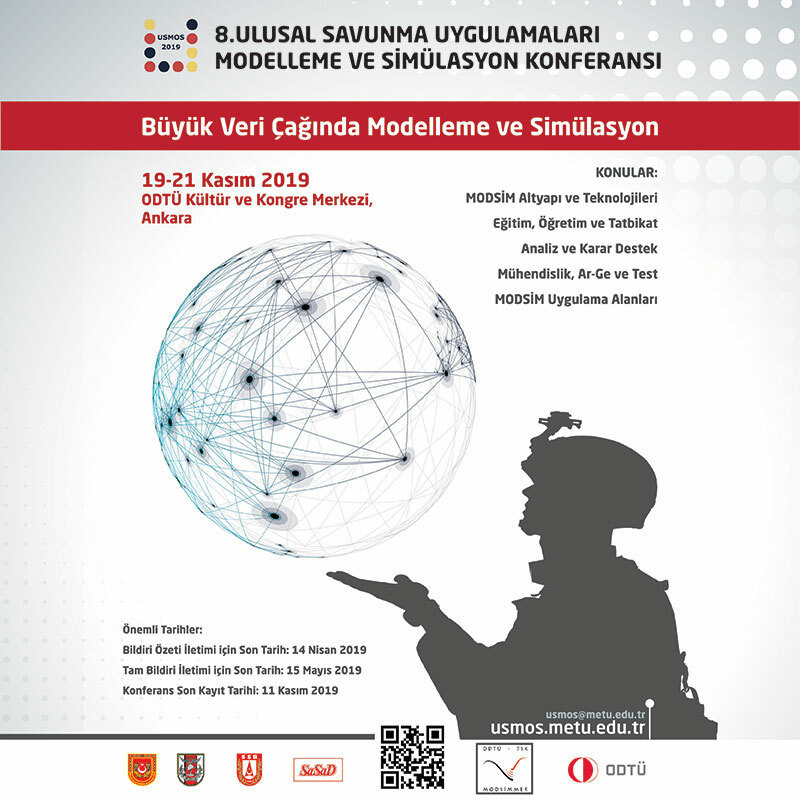 According to data released by the TIM, the Turkish Defence & Aerospace Industry realized US$$106,506 Million in defence and aerospace equipment exports in January, US$149,655 Million in February, US$147,927 Million in March, US$189,961 Million in April, US$190,016 Million in May, US$123,013 Million in June, US$197,255 Million in July, US$119,770 Million in August, US$122,786 Million in September, US$206,730 Million in October and US$228,238 Million in November. According to data released by the TIM, the total weight of products exported by the Turkish Defence & Aerospace Industry in December 2018 was around 4,426.000kg, it was 4,660.756kg in October and 5,095.628kg in November. As such, the average price of Turkish Defence & Aerospace export products reached US$57,16 per kilogram as of December 2018. It was around US$44,36 in October and US$44,80 in November. According to TIM figures the average price of Turkish export products was US$1,28 per kilogram in 2017 and the average price of defence exports was US$39,72 in 2017 and US$27,72 in 2016. The per kilogram export value of ‘T129 ATAK Helicopter’, which is one of the high added value, indigenously developed platform solutions of the Turkish Defence & Aerospace Industry, is around US$10,000. Under a Government-to-Government contract awarded on 16 May 2018, Turkish Aerospace will deliver 30 T129B Mk-I ATAK Multi-Role Light Combat Helicopters to the Pakistan Army. According to TIM’s data, the list of the top 15 countries that imported defence and aerospace products from Turkey during January 1st – December 31st of 2018 is composed of; the US, Germany, Oman, Qatar, the Netherlands, India, Azerbaijan, the UK, Poland, France, UAE, Ukraine, Spain, Senegal and Bangladesh. With a total of around US$726,065 Million (represents a 4.46% increase compared to the same period last year), in purchases, the United States was the largest recipient/importer (mainly military and civil helicopter and aircraft parts, and component sales realized under offset commitments), followed by Germany with around US$226,119 Million (represents a 8.38% increase compared to the same period last year), Oman with around US$153,373 Million (represents a 1,046.43% increase compared to the same period last year, one of the largest in terms of the rate of increase, mainly stemming from FNSS PARS III ACV deliveries to the Royal Omani Army), Qatar with around US$83,454 Million (represents a 240.85% increase compared to the same period last year and believed to stemming from wheeled armored vehicles and fast intervention boats sales/deliveries to the Qatar Armed Forces), the Netherlands with around US$75,582 Million (represents a 454.85% increase compared to the same period last year and mainly stemming from Aselsan’s SMART-S Mk2 3D radar T/R module deliveries to Thales), India with around US$71,699 Million (represents a 32.91% decrease compared to the same period last year), Azerbaijan with around US$63,409 Million, the UK with US$53,299 Million, Poland with US$51,530 Million, France with around US$46,079 Million, UAE with US$35,278 Million (represents a 376.35% increase compared to the same period last year, mainly stemming from Otokar’s RABDAN 8x8 III ACV deliveries to the UAE Army), Ukraine with US$32,345 Million, Spain with US$28,575 Million, Senegal with around US$28,867 Million (represents a 3,819.23% increase compared to the same period last year, the largest one in terms of the rate of increase) and Bangladesh with US$24,113 Million. According to TIM’s figures during January 1st – December 31st of 2018, the Turkish Defence & Aerospace Industry has exported US$744,738 Million (which was at US$708,577 Million level during the same period last year) in defence and aerospace equipment to North America/US, US$549,393 Million (which was at US$498,847 Million level during the same period last year) to EU Member Countries, around US$31,180 Million to other European countries, around US$310,647 Million (which was at around US$131,352 Million level during the same period last year, rising 136.36% compared to 2017) to the Middle East countries, around US$118,303 Million (which was at the US$91.540 Million level during the same period last year) to the Commonwealth of Independent States (CIS), around US$120,470 Million (which was at the US$141,718 Million level during the same period last year) to other Asian countries, around US$84,349 Million (which was at the US$63,790 Million level during the same period last year) to African countries and around US$51,895 Million (which was at the US$71,026 Million level during the same period last year) to countries in the Far East. To celebrate its 34st anniversary in November 2019 the SSB is, as of 31 December 2018, managing a total of 610 defence and security programs valued at over US$60 Billion in the areas land, air, space, sea, electronics and weapon systems for the TAF, SGD (Turkish National Police), MIT (the Presidency of National Intelligence Organization which reports directly to the Turkish Presidency since August 2017), and other Governmental Organizations including but not limited to General Directorate of Forestry and General Directorate of Mineral Research and Exploration (MTA). As of December 2018, around 400 of these projects’ contracts have been awarded and the remaining 210+ projects are at the signature stage. According to SSB data the local content rate in defence and aerospace projects reached 68% during 2018.